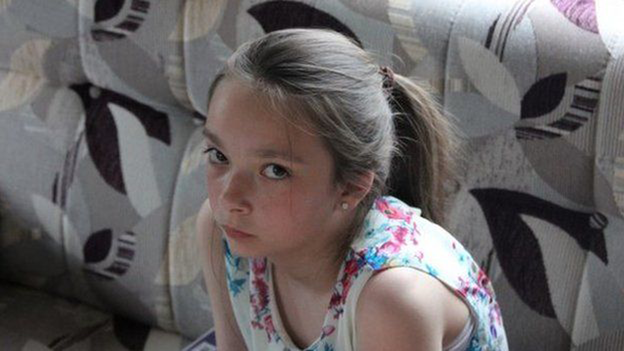 A body found in a Nottinghamshire town has been confirmed by police as missing 13-year-old Amber Peat. Amber disappeared from her home in Bosworth Street, Mansfield on Saturday, following a family holiday. Her body was discovered by police officers on Tuesday near some houses in Westfield Lane, about a mile from where she lived. Supt Matt McFarlane, who co-ordinated the search, said the cause of death was hanging. 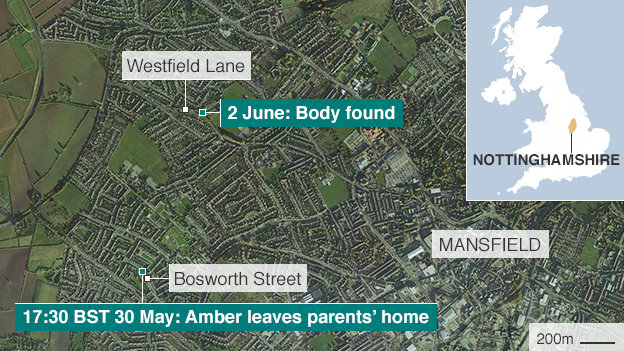 Amber's death is not being treated as suspicious by police. Supt McFarlane said her body was found by two officers searching an area off Westfield Lane. He said in a statement the body was "out of sight" and would not have been apparent to anyone in the area nearby. 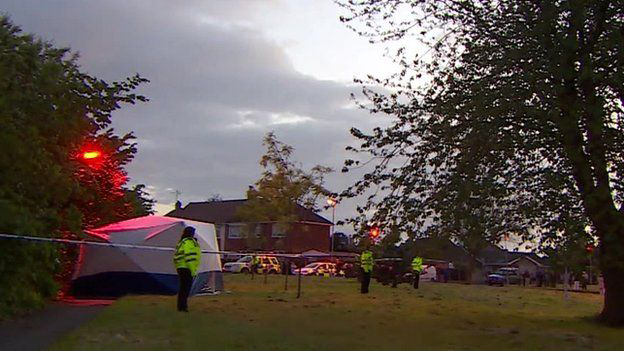 An officer at the scene had earlier told the BBC the area had previously been searched. Supt McFarlane added: "Amber's mum and stepdad, Kelly and Danny [Peat], were touched by the amazing response of the local community, literally turning out in their hundreds to help search for Amber. "They paid tribute to their daughter saying 'We'll always remember Amber for her love of singing and dancing'. "She was never happier than reading to her younger sisters and being surrounded by her family. "We'll treasure the memories of our last family holiday together with our beautiful daughter and we will miss her always." Earlier, tributes were paid to the teenager. Mike Smith, principal at Queen Elizabeth's Academy, said Amber was academically bright and had been a member of the school's choir. Rianna Richards, 12, laid flowers in memory of her friend. She said she had been sent home from school because she was so upset. "She was a nice person, she was funny," Rianna said. Mr and Mrs Peat said the family had just returned from a holiday in Cornwall when Amber went missing following an argument about a household chore. Following Amber's death, the charity Childline stressed it provided a private and confidential service for young people, which can be called on 0800 1111.